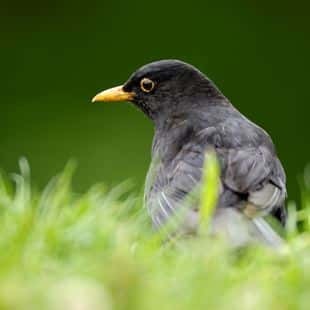 The Royal Society for the Protection of Birds (RSPB), founded in 1889 works to promote conservation and protection of birds and the wider environment through public awareness campaigns, petitions and through the operation of nature reserves throughout the United Kingdom. The RSPB has over 1300 employees, 18,000 volunteers and more than 1 million members, making it the largest wildlife conservation charity in Europe. The RSPB maintains over 200 reserves throughout the United Kingdom, covering a wide range of habitats, from estuaries and mudflats to forests and urban habitats. These environments present a wide variety of hazards, both to members of the public visiting the sites and to the employees and volunteers working there. The RSPB recognised that they wanted to improve the quality of their trend analysis, and give each site the ability to analyse their own data and understand local issues, as well as the country and regional level analysis they already had. After a careful tender process, Prime was chosen as the preferred solution and began work to configure and launch the new system. Prime Systems Director Paul Ramsell said “We were delighted to be selected to provide RSPB’s new online accident reporting system, the organisation fits well into our existing range of customers, having worked for several years with bodies such as English Heritage, the Forestry Commission and Historic Scotland, who all have similar risks with members of the public and employees in outdoor spaces”.